When journalist Maureen Paschal begins the research for a new book, she has no idea that she is stepping into an ancient mystery so secret, so revolutionary, that thousands of people have killed and died for it. Two thousand years ago, Mary Magdalene hid a set of scrolls in the French Pyrenees: the Gospel of Mary Magdalene, her version of the life of Jesus and the events of the New Testament. Protected by supernatural forces, these sacred scrolls could be uncovered only by a special seeker, one who fulfills the ancient prophecy of L'Attendu -- the Expected One. 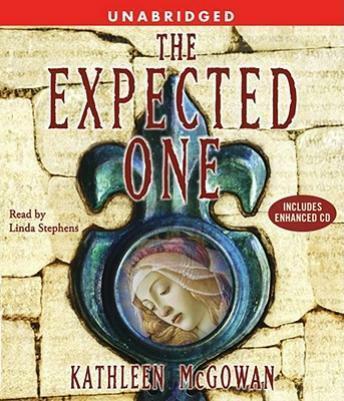 As Maureen becomes immersed in the mystical lore of L'Attendu, the eerie prophecy of the Expected One casts a shadow over her life and work, and a long-buried family secret comes to light. Maureen's extraordinary journey takes her from the dusty streets of Jerusalem to the cathedrals of Paris to the rocky foothills of southwest France. To search for the scrolls, she must unravel clues that link history's great artistic masters, dynasties, and scientific minds. Ultimately, she comes face-to-face with Jesus Christ, Mary Magdalene, and a love triangle that changed the course of history in a deeply moving and powerful new gospel...the greatest story never told. This is a very enjoyable book which reshapes some of the basic tenets of the New Testament, it does this in a way which is respectful to the original but forces the reader to examine some of our basic beliefs. The born again christian crowd will condemn this book quickly but for people who enjoy a well paced controversial subject this is for you. It was well written, well narrated, and a good story, but it did tend to go on and on and as proof, I listened to two disks out of order and never noticed until I unloaded the player. Instead of looking forward to the next disk, I was look forward to the last one. This book takes you much deeper into the theory that Mary Magdalene was married to Jesus. By telling part of the story from her perspective, you get an indepth look at her feelings for her husband. The end was a little anti-climatic, but overall a great audio book! With all the religious controversy with the DaVinci Code, this is yet another book that explores the possibility of another version of the Bible as we know it. I liked it a lot! It flowed nicely. There were times that I felt that it could be a non-fiction...I had to remind myself that it wasn't (or is it??) Very entertaining! This novel changed my life. While fictional there are implacable truths within the novel that resonated within me. And even if it doesn't rock you religiously it's a good book! Loved this book. Very thought provoking and interesting. The premise gives life to the biblical characters in this novel.